In a recent study of 15 companies waste composition analysis showed that 84% of the carried out unsorted rest waste could be regained. It is an analysis of the company’s unsorted waste. The analysis provides a tool to improve the efficiency of waste management through checking out how the company will sort in clean fractions. This makes it easier to recycle waste, amounts to unsorted and combustible waste and therefore reduce the company’s costs.. The graph shows the results from a waste composition analysis in a food producing company. 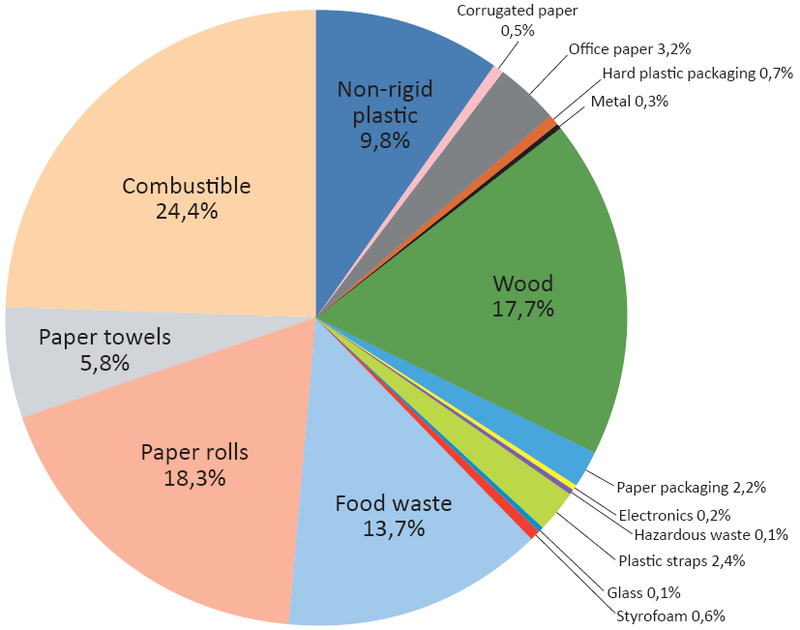 In this example, only 30% combustible waste (6% thereof towel). The remaining material can be recycled. This company can save thousands of dollars each month by reducing their amounts of combustible waste.